Jorge Padron delivered a two-out, two-strike game-tying double in the bottom of the ninth, and Shannon Wilkerson’s sacrifice fly to left scored Heiker Meneses two innings later to give the Salem Sox a dramatic come-from-behind 10-9 triumph in 11 innings on Saturday night in front of 4,833 at LewisGale Field. After trailing 5-0 after three and a half, 8-6 after eight and a half, and 9-8 after ten and a half, the Sox scored two in the bottom of the 11th to send the near-capacity crowd home happy. Scoreless through three innings, the action intensified in the fourth. Ryan Stovall and Carlo Testa each went deep off Drake Britton in a five run-frame, and the Rocks possessed a 5-0 lead. But Salem broke up Elisaul Pimentel’s shutout thanks to Meneses’ leadoff triple and an RBI single from Bryce Brentz in the bottom of the fourth. One inning later, Salem rallied for four runs to tie it up at five. Kolbrin Vitek connected for a clutch two-run single with the bases loaded, and Bryce Brentz’ slow roller to third was chucked down the right-field line, allowing two more runs to score. In the last of the sixth, Peter Hissey drew a one-out walk, stole second, and trotted home on Josue Peley’s RBI single, surging the Sox to a 6-5 advantage. But the lead would only last until the eighth, when the Blue Rocks rallied for a pair against reliever Jordan Flasher. Travis Jones walked, moved to second on a passed ball, to third on a wild pitch, and scored on Michael Liberto’s clutch single. Two batters later, Liberto crossed on Testa’s RBI knock, boosting the Blue Rocks to a 7-6 edge. Wilmington added one insurance run in the top of the ninth, with Nick Van Stratten scoring from second on Ryan Stovall’s fly to the warning track in right that dropped out of Brentz’ reach. In the bottom of the ninth, however, the Sox capitalized from the wildness of Blue Rocks reliever Gary Cuevas, utilizing two walks, three wild pitches, and Padron’s clutch double to score twice and send the action to extras. After a scoreless tenth, the Blue Rocks connected for a pair of doubles from Van Stratten and Stovall to assume a 9-8 lead in the 11th, but the Red Sox rallied for a third time in the last of the frame. Derrik Gibson singled off Bryan Paukovits to start the inning, and Gibson scored all the way from first on Meneses’ sacrifice bunt that was chucked down right field line by Stovall. Meneses scooted all the way to third on the pivotal error, but remained there when Vitek grounded to short. Brentz received an intentional pass, and then Wilkerson, batting for the first time after entering as a pinch-runner in the ninth, lifted a high fly to moderate depth left field. Meneses tagged and sprinted home, beating the incoming throw from Testa, and the Sox stormed the field in celebration. One night after falling by a run with the final out being recorded at the plate, the Sox prevailed in a similar circumstance, with Meneses evading the tag as the ball skipped away from the catcher. It was the first time all season that Salem won when trailing after eight innings. Previously, the Sox had been 0-62 in such precarious situations. 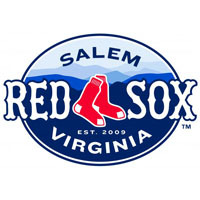 The Salem Sox wrap up their 2011 home schedule on Sunday afternoon with a 4:05 matinee against the Blue Rocks. Anthony Ranaudo is slated to take the mound for Salem opposite Wilmington’s Tyler Sample.